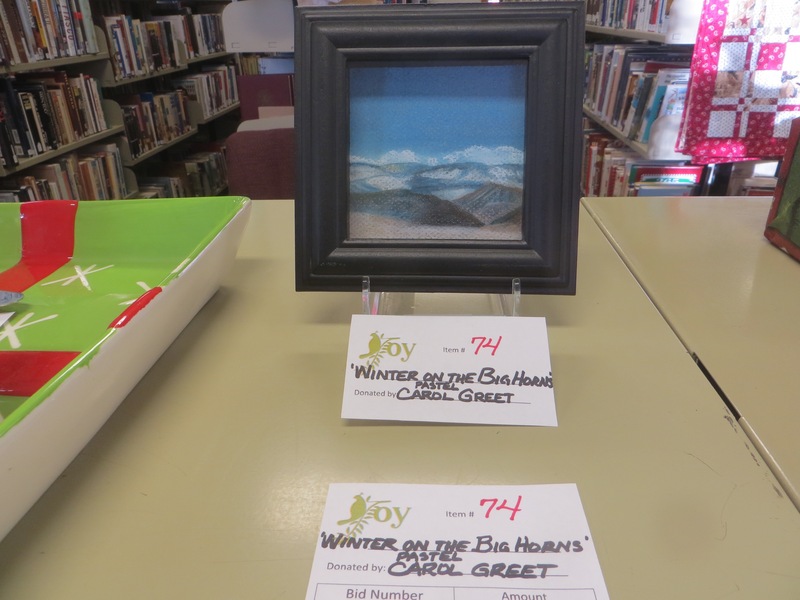 Here are a couple more of my crafts for the library’s Silent Auction Monday evening. 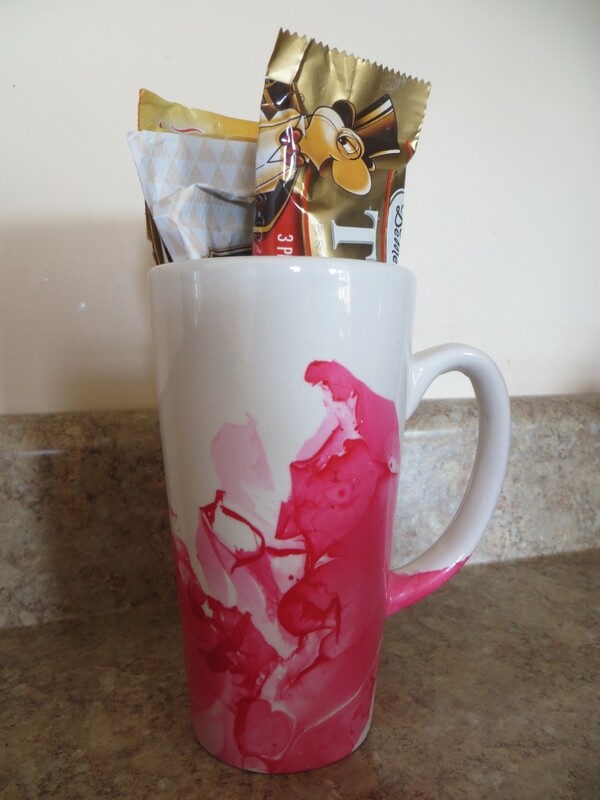 This mug was given a watercolor effect using fingernail polish. 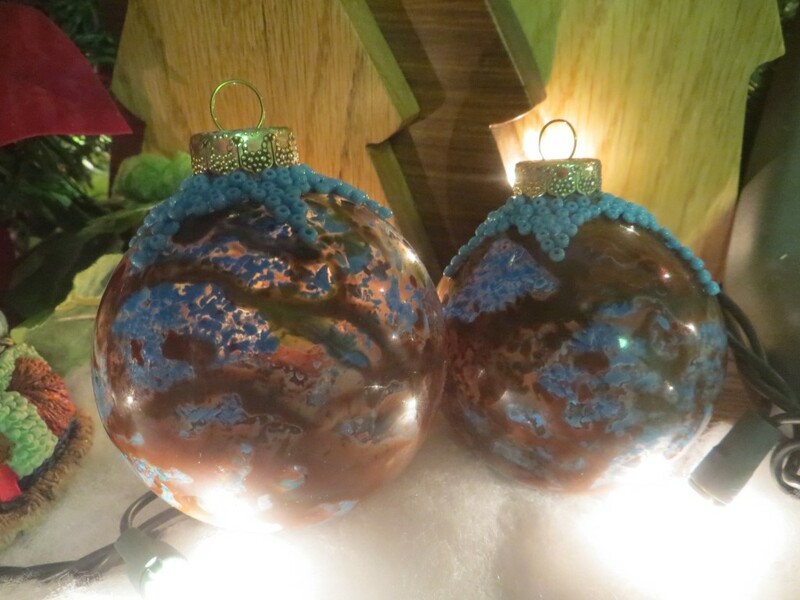 This is a set of three melted crayon ornaments with bead highlights. Anyway, these are all up for bid at our Silent Auction Monday night… Follow Ten Sleep Branch Library on Facebook and I will try to post photos of some of our other great items tomorrow as well! Wish us luck and rich bidders!!!! You are so talented Carol, they are all wonderful and I know will be enjoyed by some lucky soul. Nice variety in these crafts – hope they all find new homes at the auction. Great crafting Carol. Love the felted Christmas gnomes. Must look into felting in the new year. Love your creativity Carol. How about a tutorial on the crayon ornaments? Oh goodness, I love the gnomes!! I’d also like to know how you did that lovely coffee cup. I’d like to know how you did the coffee cup. I think that is cool. The gnomes are really cool.